Despite a Walmart executive’s generalized promise to eventually raise the wages for the company’s lowest paid employees, a group of workers have announced plans to protest the mega-retailer on Black Friday for the third year. Reuters reports that labor group OUR Walmart (Organization United for Respect at Walmart) plans to protest 1,600 stores across the nation the day after Thanksgiving. “Over the last year, Walmart workers have pressured Walmart to change its pregnancy policy, provide access to more hours and most recently to pledge to phase out its minimum wage jobs,” the United Food and Commercial Workers International Union, which has helped OUR Walmart in the past, said on its website. Reuters reports the upcoming protest announcement comes a day after 23 people were arrested at a protest outside a Los Angeles-area Walmart. The people, who were protesting the company’s alleged retaliation against workers who pushed for better working conditions, were arrested for blocking an intersection and were cited for failure to disperse. 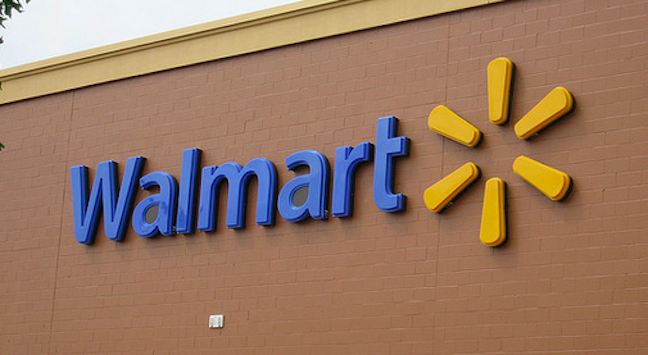 A spokesperson for the company tells Reuters that Walmart does not retaliate against workers who strike or protest. “The reality is that few Walmart associates participate in these labor-organized protests,” the spokesperson says. Back in October, Walmart CEO Douglas McMillon made a vague pledge that the company would eventually raise the wages for the lowest paid workers. He did not provide details on how Walmart would actually raise the wages of those lowest-paid employees. At the same time, McMillon said that only about 6,000 of Walmart’s 1.3 million U.S. employees earn the federal minimum wage of $7.25, claiming that the average full-time hourly wage is $12.92. However, it was unknown if those figures included employees in cities and states with minimum wages that are higher than the federal minimum.